All aboard! The Model Railroad Show is back for its 45th year. 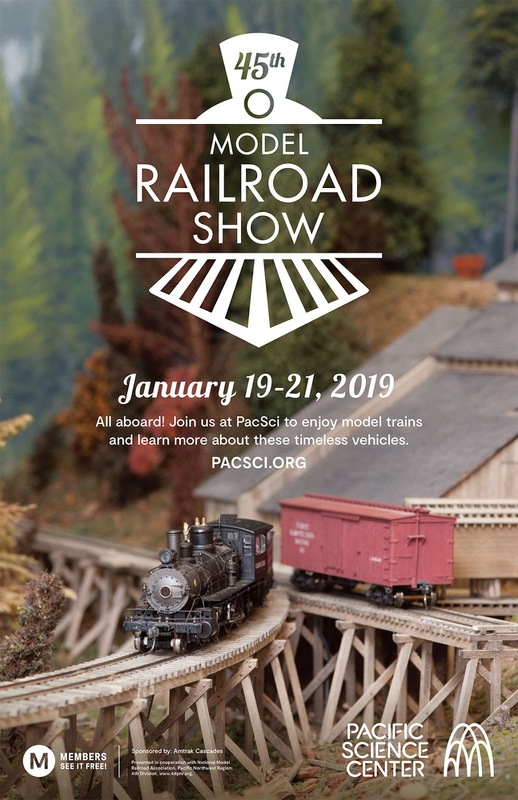 Join us from January 19 to 21, 2019, Saturday through Monday, to meet dozens of model railroaders and experience these magical displays. There will be several local Model Railroad clubs at the PSC that are members of the National Model Railroad Association (NMRA). You can even volunteer! Check out this info. 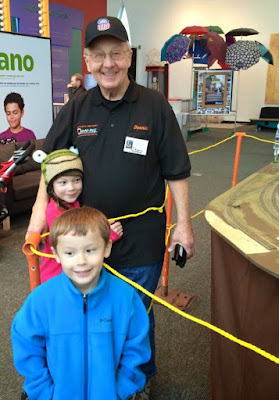 The show features several opportunities to operate trains: youngsters can drive loop tracks and older children and adults on railcar delivery layouts. The Pacific Northwest Public Transportation Museum will have a large display of historical photographs and memorabilia. Visit the Northwest Railway Museum’s information table to learn more about their activities for young people. The museum, located in Snoqualmie and North Bend, offers rides during much of the year and hosts Thomas the Tank Engine each summer. When you go, look for Shoreline resident Dennis Terpstra. He has been running model trains for years and rarely misses a Northwest show. The 45th Model Railroad Show is included with the price of general admission and is FREE for Pacific Science Center Members.